This holiday we’re helping our customers enjoy the spirit of giving through our Buy One, We’ll Give One program. When you buy a medical ID, American Medical ID will donate one (1) medical ID to a Mended Little Hearts child (MLH). Mended Little Hearts is a non-profit, volunteer-led program providing hope and support to children, patients and families affected by congenital heart disease. Did you know? Every 15 minutes a child is born with a congenital heart defect. Supporting Mended Little Hearts means American Medical ID and our customers can deliver hope and healing to these brave children and their loving parents, in spite of their circumstances. Since 2007, we have been helping Mended Little Hearts spread awareness on the importance of medical IDs – especially for little children who are born with heart defects. Wearing a medical ID band can save the lives of these kids in emergency cases by allowing them to receive the right help at the right time. One of the challenges of MLH families we speak with is finding the right size of medical ID bands suitable for young children and their small-sized wrists. Our customer service representatives and operational team is always happy to modify a medical ID so that it fits even the smallest of children. More so, we’ve seen how receiving medical ID bands for their children can instantly lift the spirits of hardworking MLH parents, families, and caregivers. This year, we hope to provide 5000-7000 kids medical IDs with our customers’ help. 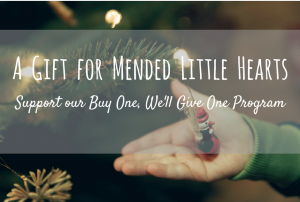 American Medical ID is also supporting Mended Little Hearts to add value to their membership by providing 10% discount to all medical IDs and accessories for MLH members. For every discounted purchase by their members, our company is also giving back 10% of the sales to their organization. This is our way to further increase awareness of wearing medical IDs to those living with heart disease, no matter their age and size. So if you are on this page, we hope that you make the right choice for Mended Little Hearts, buy one and we’ll give one! 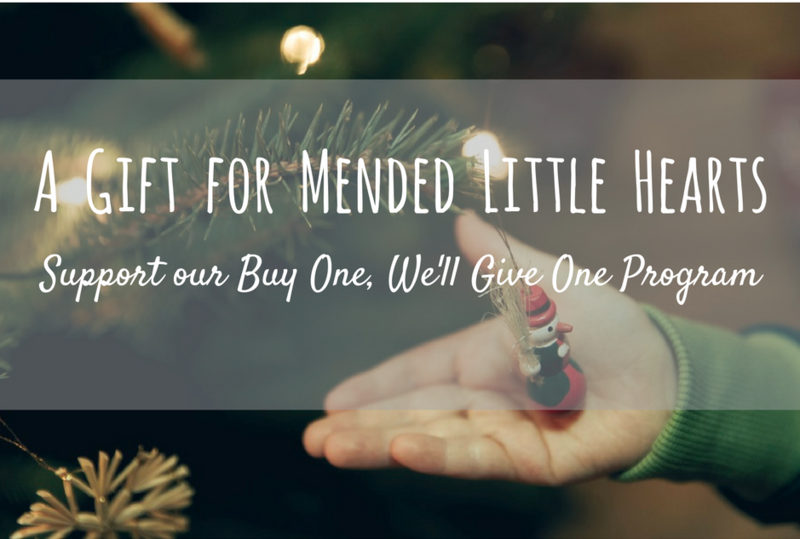 Buy One, Give One, Giving back, Mended Little Hearts. Bookmark. Will Allow Natural Death (AND) Replace DNR? Thinking of buying one of the beautiful medical id necklaces in gold with a heart-shaped pendant, this initiative is good to know! Sending well wishes to everyone at MLH.